MANILA, July 24 (PNA) -- President Rodrigo Duterte on Monday asserted that he would not declare martial law in the whole country, as he lashed out at critics for comparing him to the late strongman Ferdinand Marcos. In a press conference after his State of the Nation Address (SONA), the President said that there is no reason for declaring martial law in the entire Philippines since it could only be done “if there is a revolution everywhere and anywhere. “No nationwide martial law. Why? Because I will look stupid before the eyes of the public if I do that. And I don’t want to be called stupid,” Duterte said. After placing the entire Mindanao under military rule following an attack by Islamic State-linked terrorists in Marawi City last May 23, critics have voiced out fears that the President would declare a nationwide martial law. On Saturday, Congress granted his request to extend his 60-day martial law declaration in Mindanao until the end of the year as state forces battle the remaining militants who have laid siege to the Mindanao city for two months now. 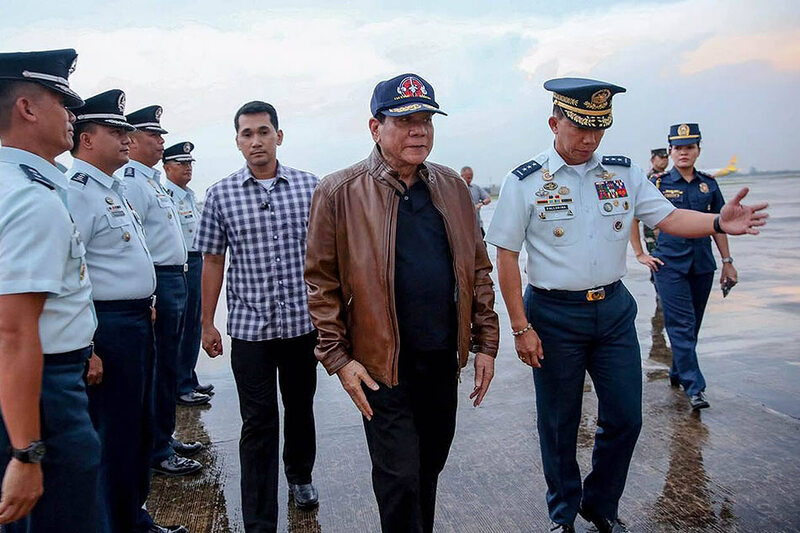 But the President pointed out that even with martial law in Mindanao, civil and political liberties were not impaired except in places where curfew is being enforced. “You can do everything in Davao or elsewhere, except in the places where there is a curfew. Nobody can force you to do a thing. We are allowed to live there in peace. Nobody but nobody has been forced to do anything against his will,” he said. “The only thing we could say as an impairment of those civil and political rights is that you have to go home at 12 (midnight) because at 12, iba ang bakbakan. And they might not see you clearly if you are a civilian or an enemy. It is really for your own good,” the President said. He likewise scoffed at insinuations that there would be a repeat of 1972 events and to being compared to the late strongman. “You have seen it for one month now. May nakita ka bang tangke dito? Mga sundalo? Do you see any uniformed military outfits roaming the streets there?” he said.